PRESS RELEASE: “Democratic Coalition: Political games at the expense of transgender people”. Subject: “Democratic Coalition: Political games at the expense of transgender people”. According to press reports in the media, opposition parties are alleged that they will not vote for draft laws if the government partner of SYRIZA, the Independent Greeks (ANEL) will not vote them too. 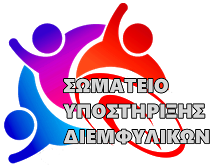 “It is obvious for us to put an end to the communicative game SYRIZA-ANEL (Independent Greeks) – a government that, while chose ANEL for the memorandum, opposes to the opposition to pass civil partnership law, the law about mosques, the equal treatment in employment, human and social rights «, said Mr. Papatheodorou, adding:» That is over. That is why we are stating to you that we will not give alibi due to the lack of government majority and the lack of laws or regulations that have been passed for the vote, regardless of content”, while in another comment he stated that the aim was to» change political correlations «. This position does not come to a dead time, but at a certain point in time: shortly after the introduction of the draft law regarding the legal recognition of gender identity in Parliamentary Procedure, and in view of its discussion with the competent Committee of the Parliament. He refers to a «change in political relations» with the submission of the draft law about human rights on the back of minorities who for decades lacked their fundamental rights and suffered from intolerance, extreme discrimination and violence, with the main reason being the lack of recognition of their gender identity . We don’t in any way disregard the extreme racist, xenophobic, sexist, homophobic and transphobic reason of the Independent Greeks, which every democratic citizen must condemn. Nor is it the participation of a political party that has racist positions in the Government. But when it is at a certain point in time, at best we can assume that it is political games at the expense of a minority that is suffering the most from discrimination, while reasoned thoughts are created if they really support it or if it is a fear because of the political cost, or if they don’t even support it and this position is pretentious. In any case, in the Representative Parliamentary Democracy, any support for human rights, is demonstrated with actions, through the vote, or there’s no support at all. We call for Democratic Coalition to rethink its position as each democratic party owes to value and demonstrate with actions and not with words the support of the human rights of all citizens, and we hope that press reports do not concern also New Democracy – so far not at least that haven’t been confirmed – as their President himself assured at a meeting with representatives of the LGBT organizations that he would vote at least in principle the draft law regarding the legal recognition of gender identity, and we hope that press reports do not concern the other parties of the democratic opposition too. Finally, we call the Government and the Minister of Justice to reconsider the draft law about the restrictive conditions for trans people under the age of 17 and married trans people, the possibility of changing the birth certificates of any existing children on the gender and the first name of the trans parents , the possibility of changing documents for refugees or immigrants, and also the procedure to follow the Council of Europe’s instructions for a quick, transparent process of changing documents of transgender people, regardless of age and without violating the family life of people. ~ από Σωματείο Υποστήριξης Διεμφυλικών στο Σεπτεμβρίου 22, 2017. This entry was posted on Σεπτεμβρίου 22, 2017 at 1:53 μμ and is filed under Uncategorized.You can follow any responses to this entry through the RSS 2.0 feed.Both comments and pings are currently closed. Previous: ΔΕΛΤΙΟ ΤΥΠΟΥ: «Δημοκρατική Συμπαράταξη: Παιχνίδια μικροπολιτικής σε βάρος των τρανς ανθρώπων».